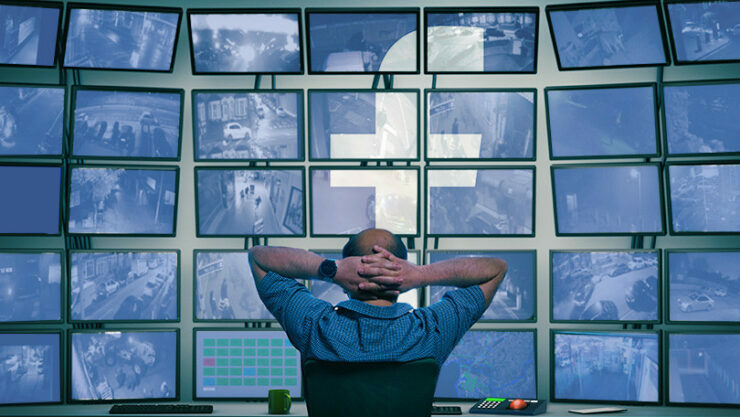 Wondering whether you are one of the 29 million Facebook users who had their personal details – including location and search history – stolen by hackers? 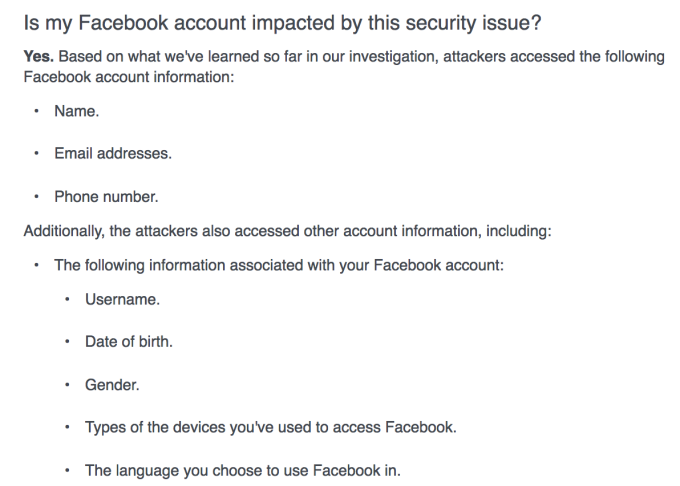 A vulnerability in Facebook’s “View As” code a couple of weeks ago gave hackers access to a digital “token” that enabled them to log into millions of user accounts. You can check the complete details of data stolen during this massive security breach by heading over to this link. But, if you are worried whether you are one of the impacted users, here is how to confirm in a few simple steps. You will see here whether your account was impacted by last month’s security breach. If you have been impacted, the company will inform you to which set you belong. Out of 30 million total impacted users, 1 million didn’t have any data stolen; 15 million had their names and contact details stolen, but if you belong to the rest of 14 million users then everything from your contact details to devices used to your search history was up for grabs. 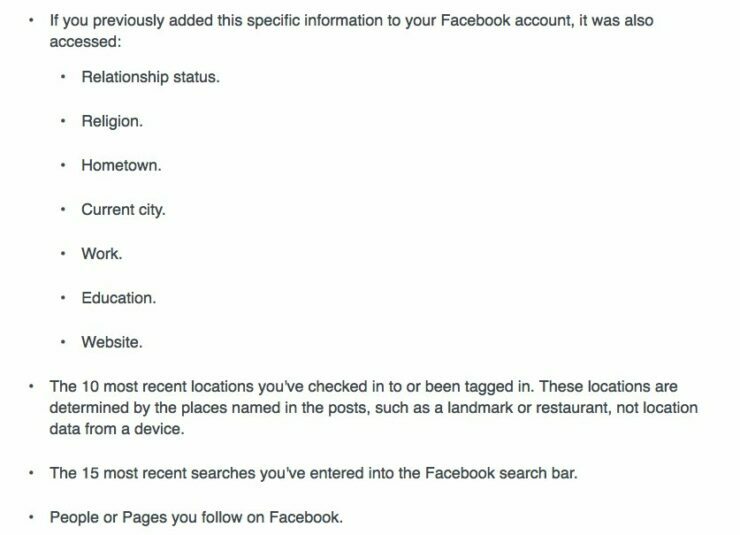 As mentioned in our previous post on this, these unfortunate users had their “username, gender, locale/language, relationship status, religion, hometown, self-reported current city, birthdate, device types used to access Facebook, education, work, the last 10 places they checked into or were tagged in, website, people or Pages they follow, and the 15 most recent searches” stolen by the attackers. There doesn’t seem to be any reason to change your passwords – something that we often recommend after hacks and breaches – since this hack didn’t have to do anything with user passwords and passwords don’t seem to have been stolen (as yet). But, be on a lookout for spam calls or identity theft attempts as a lot of your personal data has been targeted in this hack.